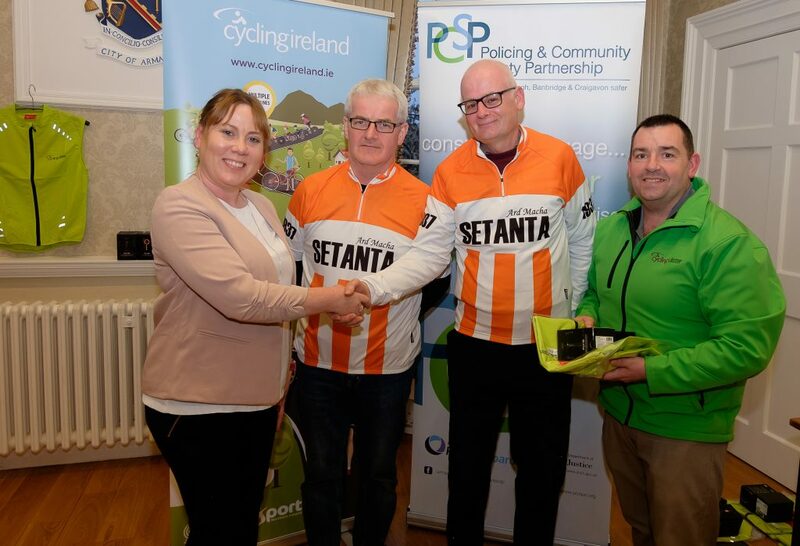 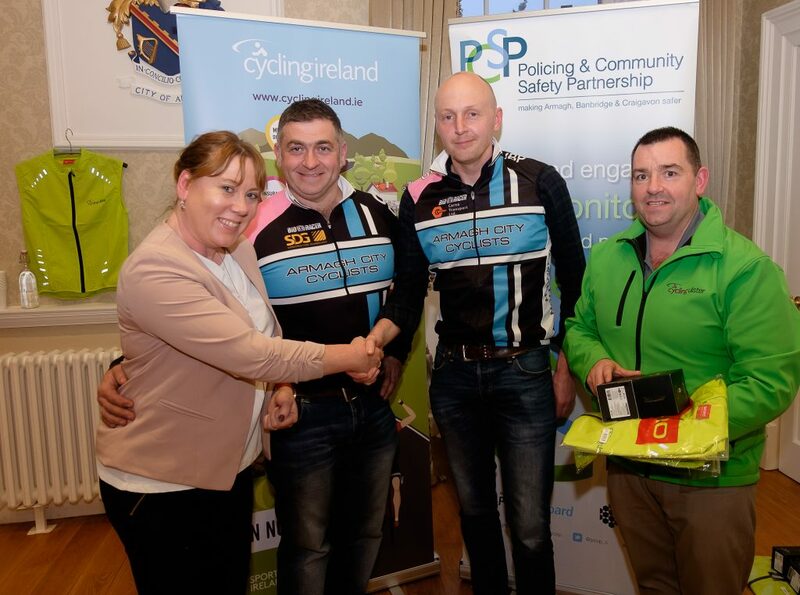 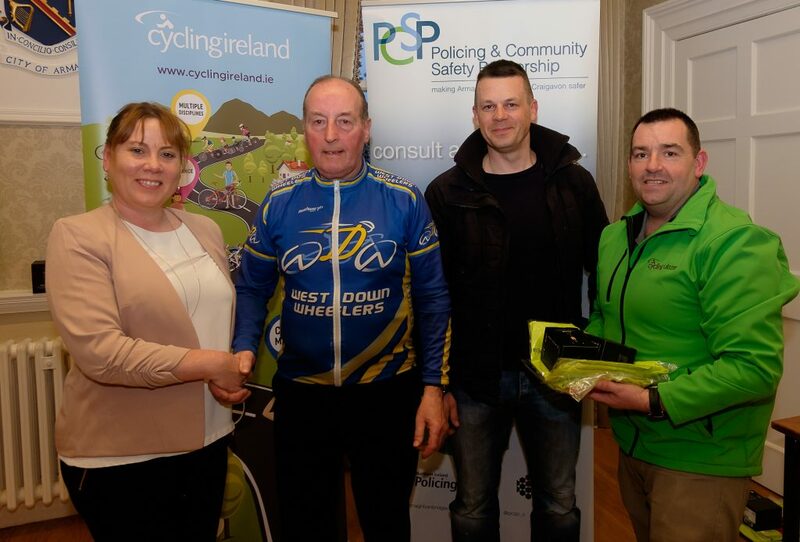 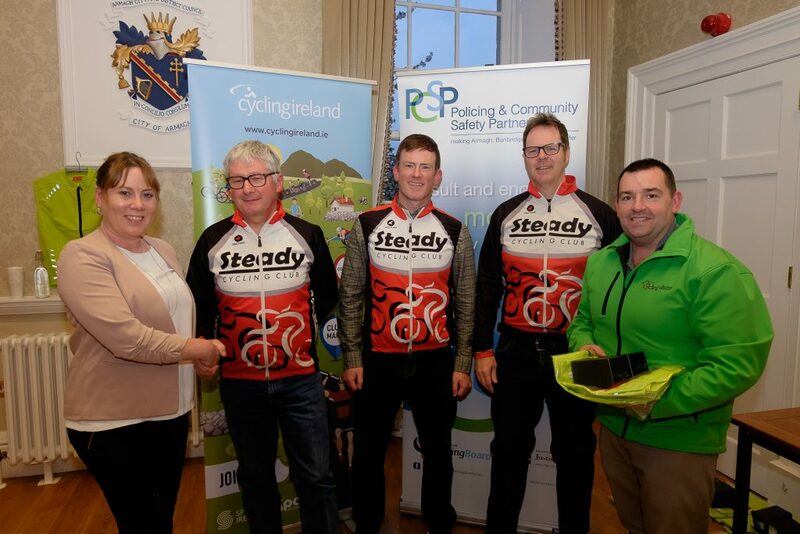 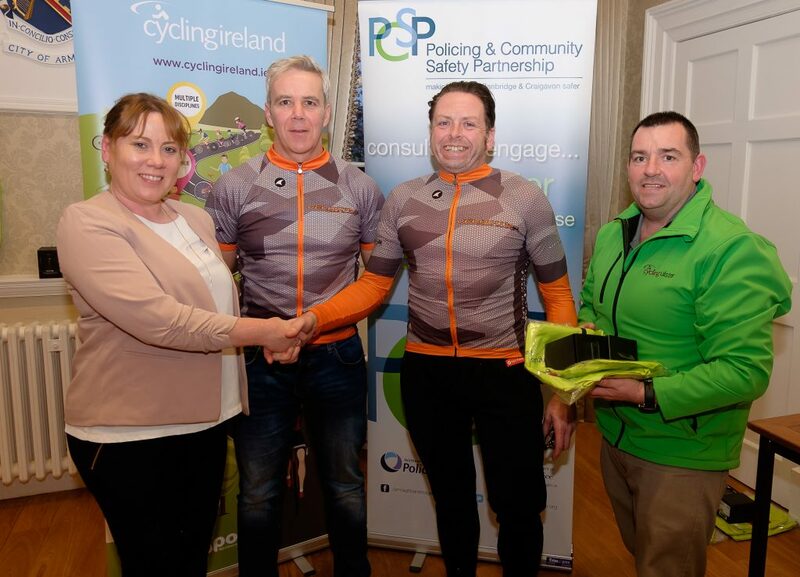 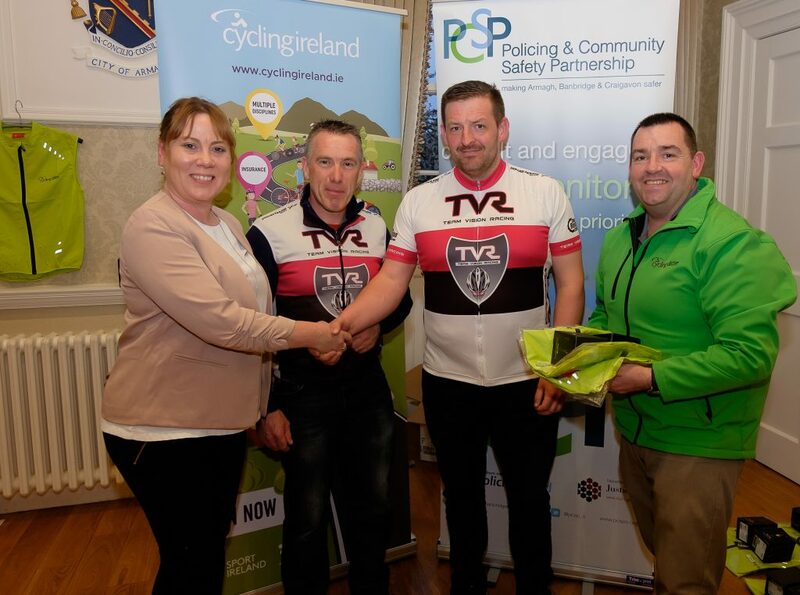 The first of Cycling Ulster’s ‘Safer Cycling’ projects with the local Policing and Community Safety Partnerships (PCSP) in the province was launched last night (Tuesday) in Armagh when 15 clubs in the Armagh, Banbridge and Craigavon Council area were provided with recording cameras and Hi-Viz gilets. 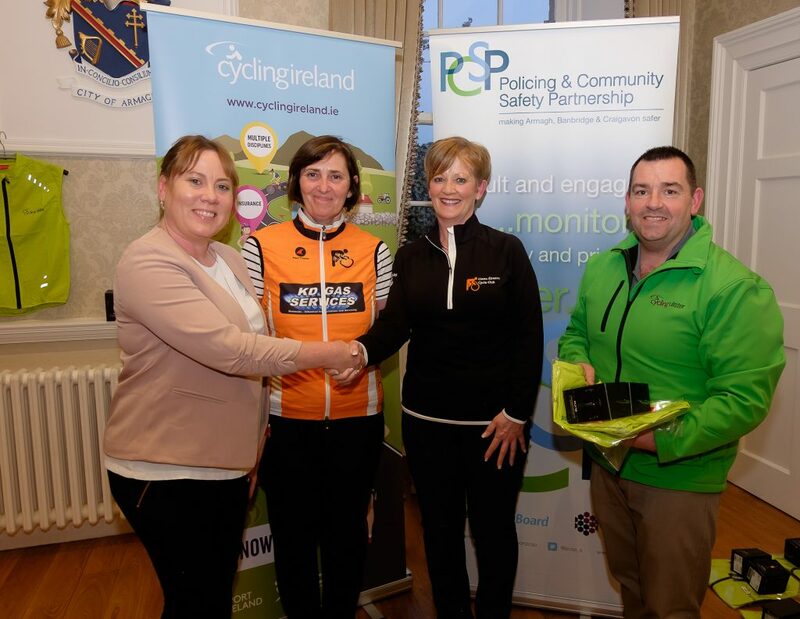 The ‘Safer Cycling’ project began following feedback from clubs in the province in the autumn of last year and is aimed at making roads a safer environment for cyclists. 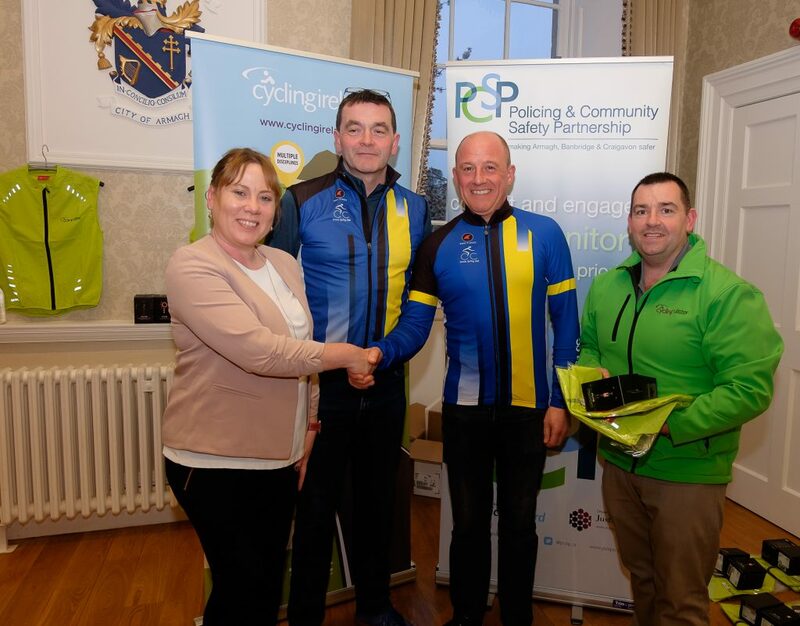 Cycling Ulster have held meetings with eight of the PCSPs so far to create a better working relationship and to seek support for providing clubs with resources such as recording cameras and Hi-Viz gilets. 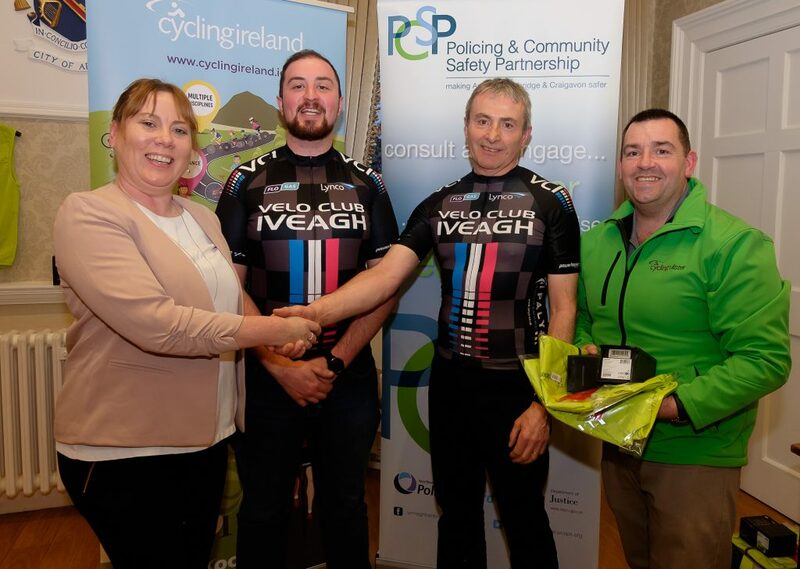 The cameras are used to record activities during club spins and will enable Cycling Ulster members to highlight dangerous incidents that have occurred with the PSNI. 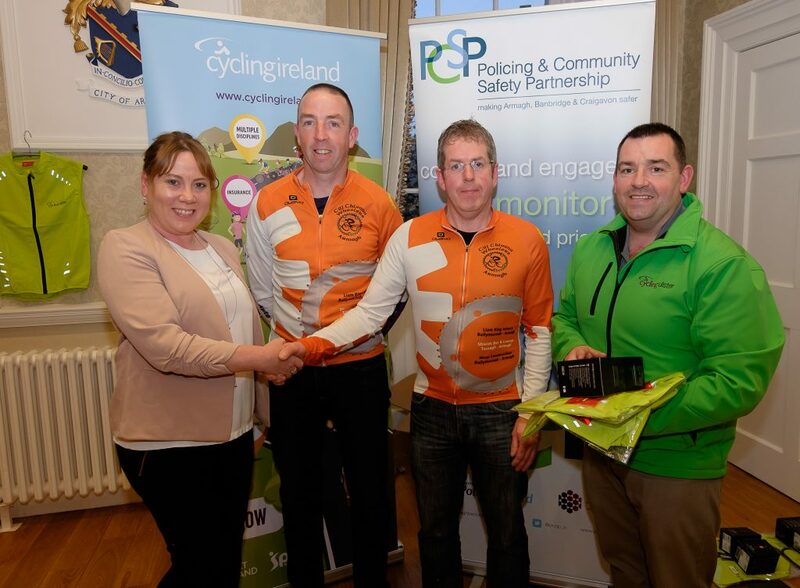 This also means that there is an accountability on cyclists to ensure they are being considerate of other road users and cycling in a safe and appropriate manner. 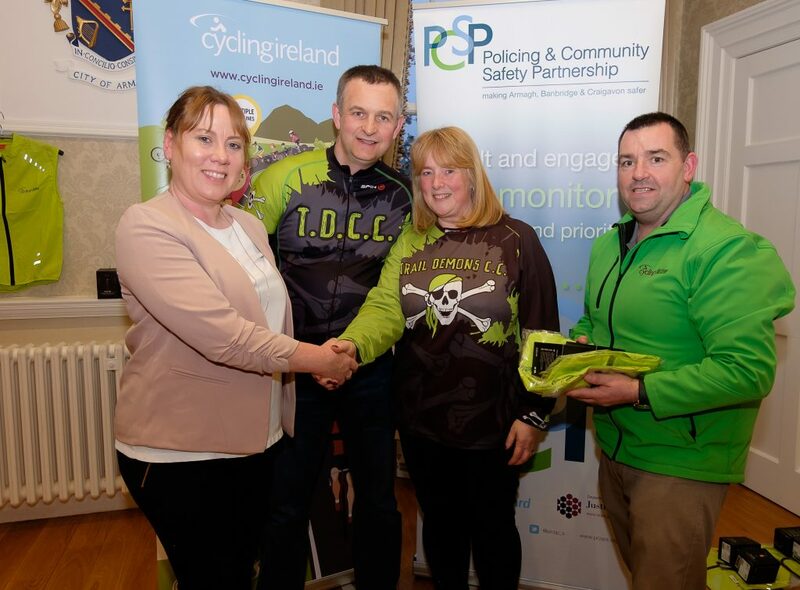 Armagh, Banbridge and Craigavon PCSP awarded funding to ensure clubs in the council area have now been provided with two Hi-Viz gilets and a front and rear camera each. 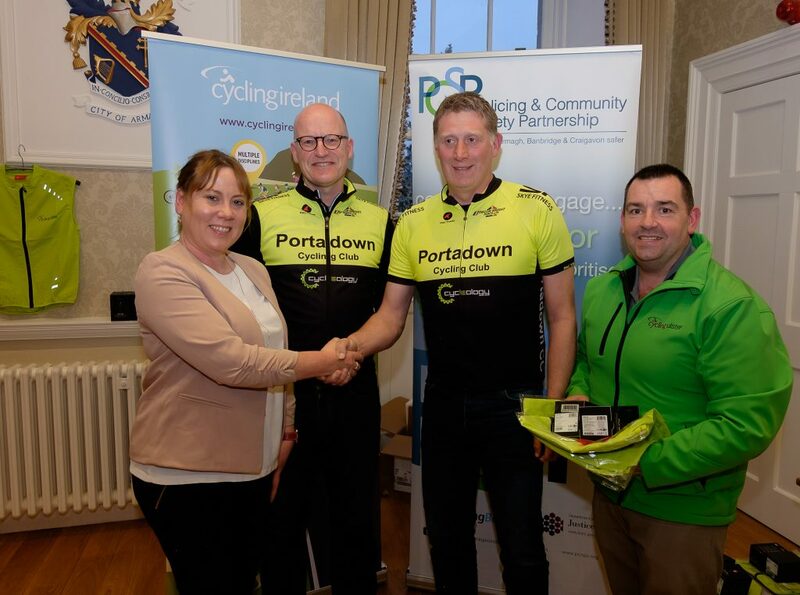 Cycling Ulster hope this will encourage all of the clubs to invest in their own equipment to enhance this initiative. 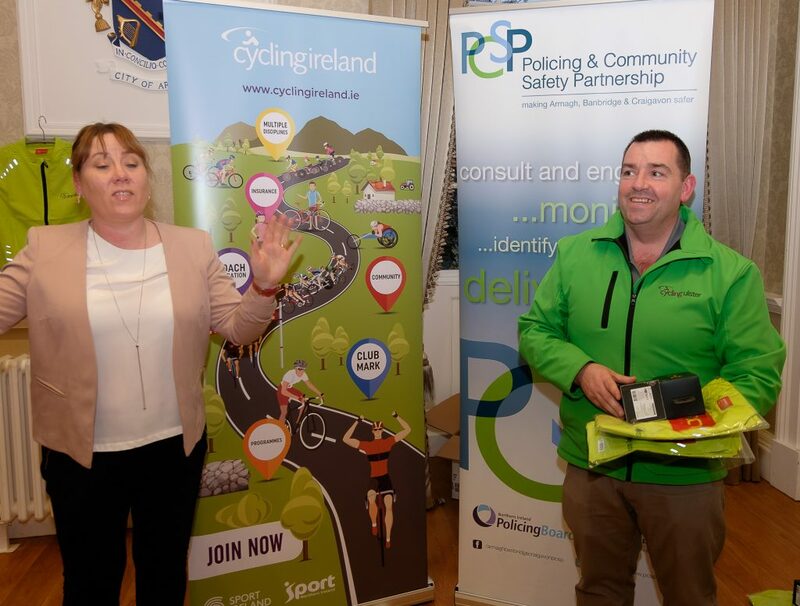 The launch also allowed for an opportunity for clubs to engage with representatives of the PCSP and share ideas for improving road safety. 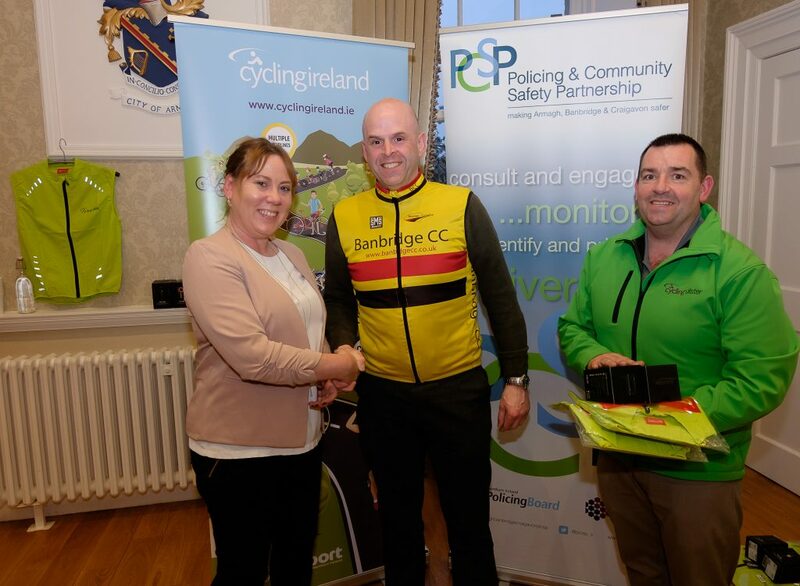 “The ‘Safer Cycling’ project is part of an overall agenda of Cycling Ulster to help improve conditions for cyclists in the province, whether that is for everyday road cyclists, competitions or getting investment in infrastructure for off-road events and traffic free circuits. 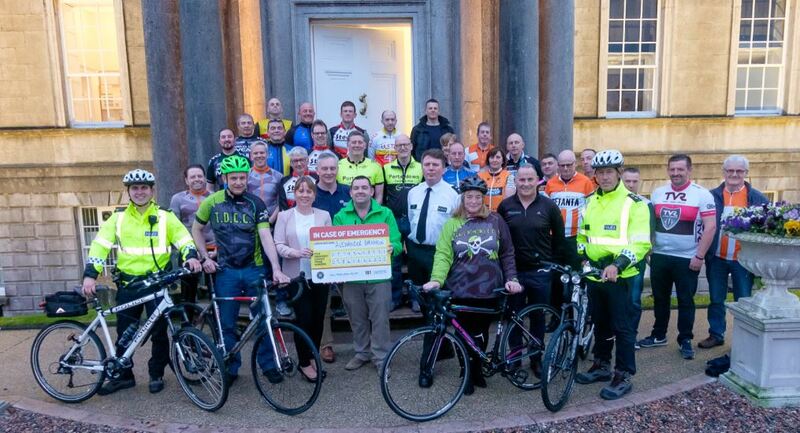 “I want to thank all those who have worked with Cycling Ulster on this project to date, particularly Patricia Gibson from Armagh, Banbridge and Craigavon PCSP, Inspector Brian Mills and Inspector Rosemary Leech from the PSNI Roads Unit as well as the clubs in the council area.